Generoso and Lily’s Bovine Ska and Rocksteady: Enid Barnett’s Deltone Label 5-31-16 – LILY & GENEROSO 4EVER! The Versatiles bizarre version on Deltone! The May 31st, 2016 Bovine Ska and Rocksteady began with a never before played on the show ska single from Justin Hinds and The Dominoes which was released on Treasure Isle in 1965, Zion Higher. In fact the first two sets of the show were of the ska variety ending with Trial and Crosses from a very young, Lee “Scratch” Perry which was released on Coxsone’s Worldisc label in 1964. In honor of Memorial Day, we began our weekly mento set with a 1956 MRS recording entitled, Soldier Man, from the seldom played Arthur Knibbs. I say seldom as even though he was as prolific an artist that existed during mento, finding his recordings has been a real chore but as always we continue to search the racks. We started the final set of the hour with the Bassies, too pretty for words rocksteady cut on Coxsone in 1967, River Jordan. When that set ended, with the end of the first hour. we launched right into our spotlight of Enid Barrett’s DELTONE LABEL. One of the most interesting things about Deltone is the names of two women attached to it. There is solid evidence to believe that Dorothy Barnett owned the label. Meanwhile, there are other claims that Enid Barnett owned the label, which most likely comes from the fact that Enid is credited as the producer of many records on Deltone. From what we can tell, Enid is a relative of Dorothy’s or Dorothy’s producer name, if anyone listening has any thoughts on this, we’d love to hear from you. We do know that Dorothy Barnett had some solid experience in the record industry before she ventured out to create her own label and record shop. She worked as Coxsone Dodd’s secretary, and from her observations of the ins and outs of the record business, she opened up Deltone, the shop and label. The shop, like other legendary ones, had its storefront on Orange street, and as a result, Barnett’s record label had the ability to attract much talent, including Lee Scratch Perry, who would engineer plenty of tracks for Deltone. We kicked off this spotlight in the rocksteady with Some of Them A Bawl from The Pioneers. Deltone was somewhat of a family business. One of the musicians who saw the greatest success at Deltone was Keeling Beckford, who was Dorothy’s cousin. Also, as a result of Keeling’s presence at the label, Theo Beckford, Keeling’s uncle, would play piano on multiple Deltone tracks. 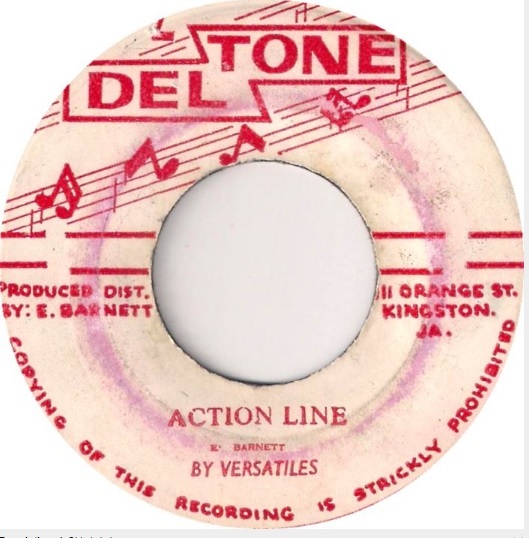 The Versatiles had worked consistently with Joe Gibbs, but they decided to venture out and went over to Deltone. Teardrops Falling, Someone to Love, and Children of Today were engineered by Scratch for Deltone! Here is the May 31st, 2016 Bovine Ska and Rocksteady for your listening pleasure…. Nero, Palance, and Corbucci Team Up Again In 1970 For The Zapata Western, Compañeros!